Having just lost his job, a commuter becomes embroiled in a dangerous conspiracy on a New York train. For 10 years, at six a.m, Michael MacCauley (Liam Neeson) - an ex-cop turned insurance salesman - wakes up next to his wife Karen (Elizabeth McGovern). He shaves, has breakfast, talks about schoolwork with his son Danny (Dean-Charles Chapman), takes a lift from his wife to the train station, and gets on the Metro-North Hudson Valley Line to commute to his work in New York City. In an effective and poignant opening-credits sequence, using a series of jump cuts, director Jaume Collet-Serra outlines the MacCauley family’s morning ritual - Michael and his son talk about Syracuse, then they discuss Lord of the Flies - at his station drop-off, Michael and his wife laugh, next time they argue, another time they apologise. By showing the repetition, we see Michael's daily family life, but also the variety of feelings and situations to be found during the morning routine. This lays the emotional groundwork for the decisions and conflicts which then assuage him during one, unique day. Left blinking in the street outside his building, Michael is shell-shocked. He can’t bring himself to tell his wife that he is now jobless when she calls with queries about their son's college tuition payments - instead he nurses a beer at a nearby Irish bar with his former NYPD partner Alex (Patrick Wilson) and has a brief exchange with a newly-promoted cop colleague (Sam Neill). To crown an already terrible day, his phone is pickpocketed in the crush at the station. On the train home he regards all the regular commuters he sees there and ponders how he is going to break the terrible news to his family. An attractive woman (Vera Farmiga) takes the seat opposite him. She strikes up a seemingly innocent conversation and then suggests a hypothetical situation, which quickly becomes compelling and peremptory - what would he do if, with minimal information, Michael had to locate a particular passenger on the commuter train before it arrives at its final stop, and plant a tracking device. No questions allowed as to why, or what the outcome may be. For this task, Michael will get $25,000 up-front and another $75,000 upon completion of the mission - enough to offset the economic havoc wrought by the loss of his job. The Commuter then proceeds ‘Non-Stop’ inside the speeding train (much in the vein of Collet-Serra and Neeson’s 2014 collaboration). Again, this film presents a moral dilemma which results in a race-against-time, and it is set predominantly aboard a mass-transit vehicle. Neeson’s gaunt, handsomely-weathered hero convincingly conveys his moral quandary and economic desperation, as again he must agonise over a covert task which may mean life-or-death. Likewise, he finds himself amid a variety of unsuspecting and suspicious characters. 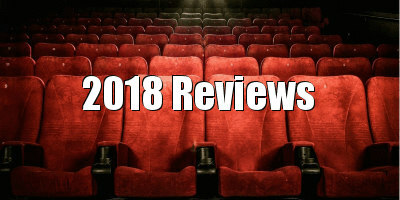 This time they comprise a punky, pink-haired student (Florence Pugh) bickering with her boyfriend; friendly everyman Walt (Jonathan Banks); an arrogant city broker (Shazad Latif) constantly connected to his phone (a cheer went up from the audience when his stint with Goldman Sachs is discovered, and Michael gives him the finger); a nervy nurse (Clara Lago); a bored commuter games-addict (Andy Nyman); school-girl Sofia (Ella-Rae Smith) and the regular train guards (Colin McFarlane, Adam Nagaitis). Director Collet-Serra is skilled in making race-against-the-clock action films which have an objective which must be fulfilled by a protagonist prompted by desperation, and he has learned a few tricks from Hitchcock. The arrangement between Michael and Farmiga's mysterious blonde has the faint whiff of Strangers on a Train, and there's a hint of North by Northwest as Neeson’s character is an ordinary man who becomes embroiled in a conspiracy and struggles to ‘do the right thing’ and so regain control of his life. It’s interesting to see how The Commuter finds various ways to use the claustrophobic confines of a suburban commuter train to create tension and stage its close-range fistfights between the carriages. As in Non-Stop, the camera (cinematography here by Paul Cameron) sweeps the interior of the train from car to car with little regard for walls, floors or doors. However, even in the sedentary scenes, such as with two men sitting at a bar, the camera appears to wobble restlessly over their forms and faces, as if filmed on a boat at sea (which can at times induce mild motion sickness in the viewer). The screenplay (credited to Byron Willinger, Philip de Blasi and Ryan Engle) is entertaining and engaging, if at times rather convoluted in its logistics. It is an intriguing premise that perhaps the filmmakers don’t fully exploit. However, Collet-Serra's stylistic flair and thematic integrity elevate the film above its thriller plot. The Commuter is worth seeing for Neeson's dogged and craggy screen presence. His voice retains that trademark husky, Irish-tinged, mellow timbre and (for a 65-year-old) he manages some impressively choreographed and brutal action sequences. Like a rugged, flinty cliff-face, Neeson can take a hell of a battering and still look grimly picturesque. 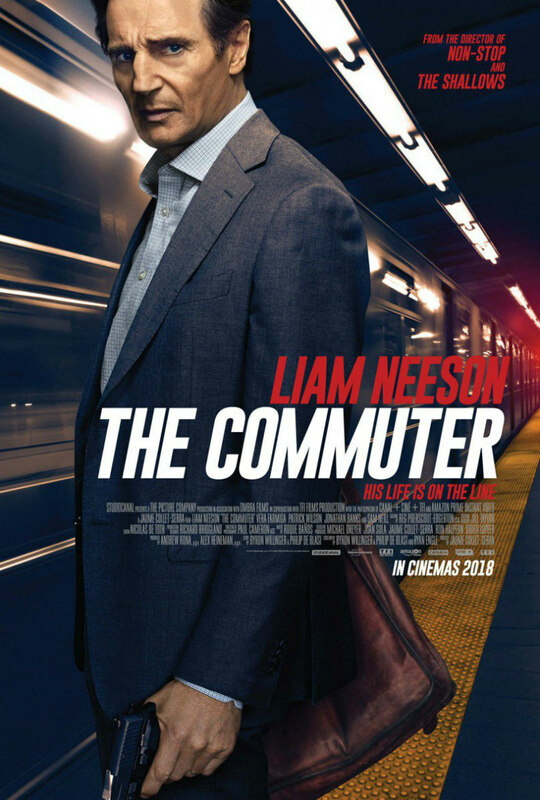 The Commuter is in UK/ROI cinemas January 19th.